Cancellations received within 21 days of departure will be fully refunded minus a $25.00 service fee, 20-15 days prior to departure receive 50% back, 14 -7 days prior to the tour and for "no shows" receive no refund. You may find a replacement. If there is a wait list and we can resell your seat, you will be refunded. If Gourmet Traveler cancels the tour, you will receive a full refund. There is a full refund up to 75 days prior to departure. Cancellations received 74-15 days prior to departure will have a $50.00 cancellation fee plus any non-recoverable expenses. 14-8 days before departure, you receive 50% back minus non-recoverable expenses. There is no refund 7 days prior to departure. You may find a replacement or call your travel agent to see if there is a wait list for the tour. If Gourmet Traveler cancels the tour, you will receive a full refund. Refund policy is subject to the terms of the tour company we book through. Please ask for refund policy for said tour company before booking. 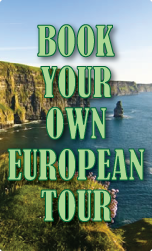 There is travel insurance available for these tours. In case of cancellation due to medical conditions, please read your travel insurance policy that you purchase.